For several years now I have been cooking lower sodium meals for my husband and family. We do not miss the extra salt but do notice the salt in food made by others, when we eat out or processed food. It didn't take long for us to get use to low sodium because I started using more herbs, spices and fresh ingredients in the meals. I love making homemade as much as possible to control the overuse of salt. How about you? Do you cook low sodium meals? What are some of your healthy recipes which uses more herbs and spices? 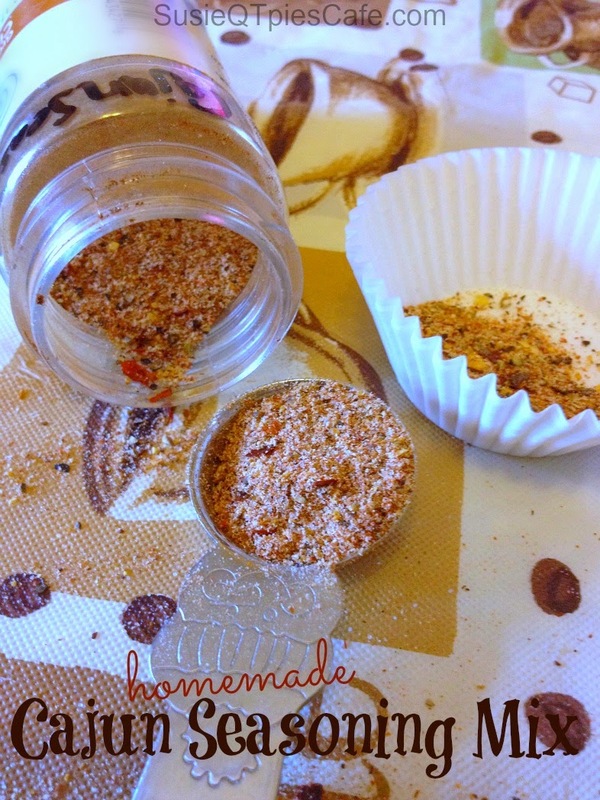 Today's recipe is for Cajun Seasoning Mix from the new Gooseberry Patch Good-For-You Everyday Meals Cookbook. I will share with you the recipe from the cookbook and how I modified to even more to be low sodium. You can make it whichever way works for your family. 1- Combine all ingredients in a large bowl; mix well. 2- Store in a large shaker jar. Makes 2 1/2 cups. 1-I cut the entire recipe in half to only make 1 1/4 cups of seasoning and stored a more manageable amount in a small spice shaker. 2-Honestly I would never use 16 oz of salt for this recipe. I suggest you add all the other ingredients first and then add in salt to desired amount. 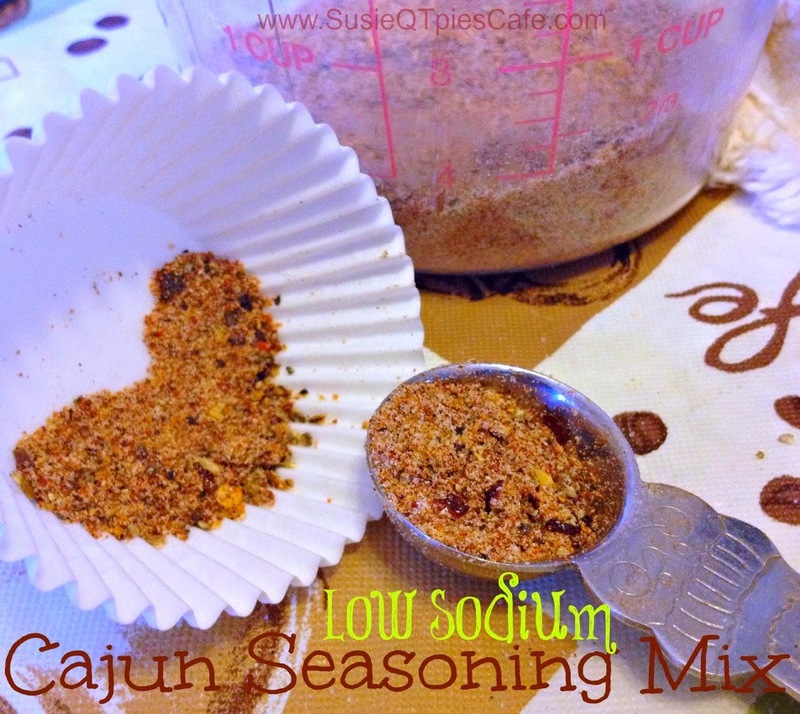 I do know that Cajun seasoning is very salty normally because we are huge fans New Orleans food and seasonings. Thanks for passing along this recipe. I love mixing my own blends of spices and herbs!